Eclectic/Encore, largest prop house on the East Coast in the news! 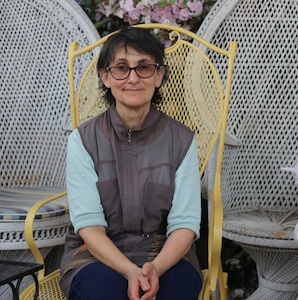 Suri Bieler’s career began as a prop person in the theatre before she started Eclectic/Encore prop house in the late 1970s as a way to find stability out of the competitive and freelance world of the Theatre. Since then, the prop house has grown massively and has received much press coverage throughout the years. Not too long ago, along with many other Manhattan based film and television supply companies, they fled the rising costs of the city and settled comfortably in a three-floor, 91,000-square-foot Long Island City warehouse, and can boast being the largest prop house on the East Coast. Eclectic/Encore has recently opened a 3,000 sq ft photo studio for rent, now books tours for cinephiles or the just plain curious and is celebrating 40 years as a premier prop rental house.